You will love the open floor plan, workmanship and beautiful detail of this "like new" home. Great for entertaining with large rooms, beautiful hardwood floors and many, many windows. Enjoy the designer touches throughout the home, nice built ins, great master bath with dual head shower, soaking tub, all finished closets and great storage. 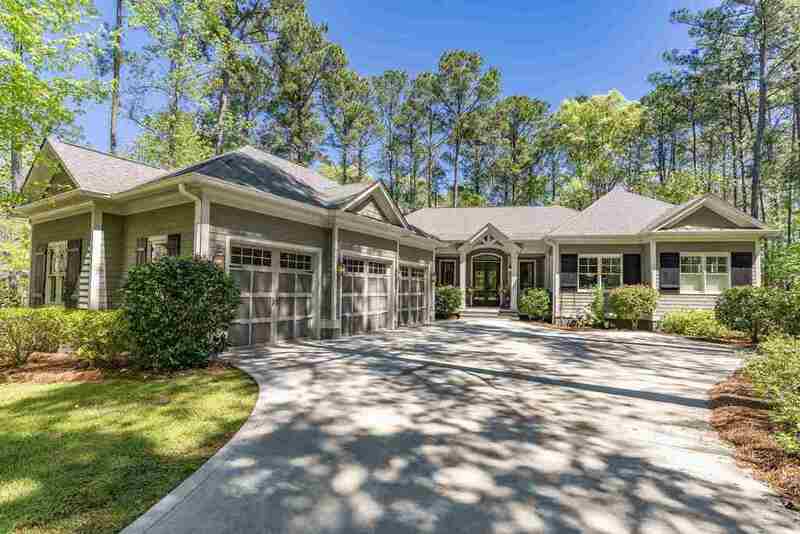 Private wooded lot with oversized 3 car garage with epoxy floor. The chef's kitchen offers upgraded cabinets, large granite counter work areas, storage and SS appliances. Enjoy the walk in pantry with glass door and shelving. High ceilings, crown moldings and many furniture niches complete this beautiful home.